Welcome to the eleventh installment of Brightly’s Book Club for Kids, where we provide you with engaging books and book-inspired activities young readers can enjoy together. This month’s pick is a terrific tale that’s full of magic, mischief, adventure, and heart. Furthermore is a color-rich, wonderfully imaginative story that will enchant readers to the very end. With characters you’ll love, and scenes as creative as can be, we promise your topsy-turvy journey into Furthermore won’t soon be forgotten. Come along, won’t you? What It’s About: A 12-year-old girl named Alice lives in a magical world where everything bursts with color, from the flowers to the food to the people of Ferenwood themselves. Alice is charming, kind, and unfailingly positive, despite the fact that there are two big things missing from her life. Her father, the one person who always loved her for her, disappeared several years ago without a trace. Alice is also missing color — unlike anyone else in the brightly hued land, her skin and hair are snowy white. When her former classmate named Oliver (whom Alice has always found to be insufferably annoying) unexpectedly drops back into her life, demanding her help with the top-secret task of finding Alice’s father, Alice finally has hope that she can bring Father back and things will return to how they were before he disappeared and Mother became sad. And so begins Alice and Oliver’s epic, fairy tale-like adventure beyond the safe boundaries of Ferenwood into Furthermore, a land without rhyme or reason and full of danger at every turn, a place where they’ll need their wits, courage, and each other’s support to get them through. Why We Picked It: Furthermore is a wonderfully entertaining and inventive tale starring two young, brave kids. Tahereh Mafi’s voice feels fresh and original as she paints a unique world that’s steeped in magic. Due in part to the resilience of the kids, and the fact that Alice is a remarkably funny protagonist, the tone of this adventure story remains cheerful even during its most stressful scenes, making it an appropriate pick for both younger and older readers alike. The story arc is exciting enough to entice readers on its own — with twists and turns to keep readers placing bets on what might happen next — but the book also offers many rich layers that serve as launching points for discussions about the universally relatable themes of family, friends, and self-acceptance. Grab the book, decorations, snacks, printable discussion questions, and supplies for the group activities — and get ready to have some fun! Feast on flowers! Alice is always munching on flowers and other vegetation she finds growing in her path. See if you have a liking for them yourself by taste-testing some of these edible flowers. 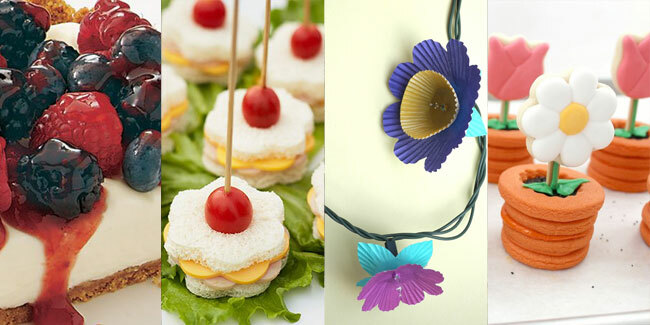 If filling up on flowers isn’t your kid’s thing, you can also munch on these flower-shaped sandwiches. Have these potted flower cookies and flower pretzel bites for dessert! While you probably won’t find ferenberries in this world, this three-berry tart makes for a great (and tasty!) substitute. Set the scene by using the vibrant floral and fauna of Ferenwood as inspiration. Decorate the table with bunches of colorful flowers and string these flower lights around the room. If you were particularly inspired by any of the lands beyond Ferenwood, customize your experience around your favorite — turn the lights down low whenever someone mentions Slumber or make everyone freeze or whisper for 10 seconds when talking about Still. For fans of Left, just know that you are right (and very wrong). Furthermore is filled with color, magic, and adventure, and also with ideas about what makes us special, vulnerable, flawed, and unique. When you’re reading, think about the imaginative story the author has created and the characters and places you’ve encountered — have you ever read anything quite like it? Think too about how the author creates settings and scenarios that test the characters and push them not only to reach their goals, but also to find out more about themselves. Furthermore is brimming with so many imaginative details — what things really stood out to you? Oliver doesn’t tell Alice everything he knows about her father. Why do you think that is? Do you think he should have revealed everything he knew before they started their journey? Which of the many villages Alice and Oliver visit in Furthermore was the most memorable? Why? What did you think Alice’s talent was? Were your surprised when you found out? Alice is proud of being her own unique self, but she also is deeply affected by not being the same as everyone else. Can you relate to feeling both these feelings? Oliver says his talent is “both a blessing and a burden” (pg. 335). How come? Furthermore pushes Alice to think differently about things — to go up and down, for example, instead of just right and left. How do you think her time in Furthermore helped Alice become more open-minded? Did Alice or Oliver remind you of anyone you know in real life? How so? Who do you think the narrator is? Alice’s father loves Alice for her uniqueness. What are some of the special qualities you love most about each member of your family? Hold Your Own Surrender: While magical abilities like Alice and Oliver’s only exist in Ferenwood, we all have special talents. Take turns showcasing your book club members’ talents by holding a Surrender of your own. Make it a competition to see who can come up with the most interesting talent or just marvel at everyone’s unique abilities. Make DIY Bangle Bracelets: Alice adorns her colorless arms with a rainbow of bangles. Make these DIY bangles and decorate your own arms with bright colors and motivational sayings. Invent a New Furthermore Land: Author Tahereh Mafi is a master of creating worlds. From paper foxes to women in pantsuits, her novel scratches at the surface of the strangeness that is the world of Furthermore. Use colored pencils to draw on blank paper or create a diorama of your own imagined Furthermore land. The wackier the better! Paint Portraits with Pops of Color: Try as she might, Alice can’t use her amazing abilities to make herself colorful. But that doesn’t mean you can’t! Turn yourself into a colorful creation with this Andy Warhol-inspired art project. 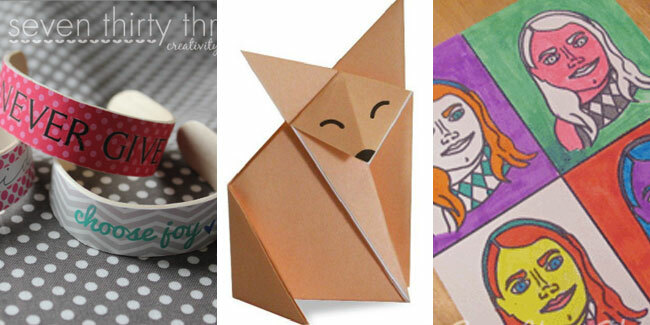 Have Fun with Foxes: Make your own paper foxes by using this simple origami template or this more complicated one. Upcycle Rulers: In Furthermore, rulers are used to keep track of the amount of time you have left as a visitor; this DIY desk organizer made from rulers may not be quite as powerful, but it will hold your pencils. What did you think of Furthermore? Let us know in the comments below.